Although the agriculture industry and our products/services may change over the years, one consistent factor remains; our employees are one of the most important ingredients in our recipe for success. Through our Employee Spotlight Blog Series, learn about the people who make up the Stutsman team. 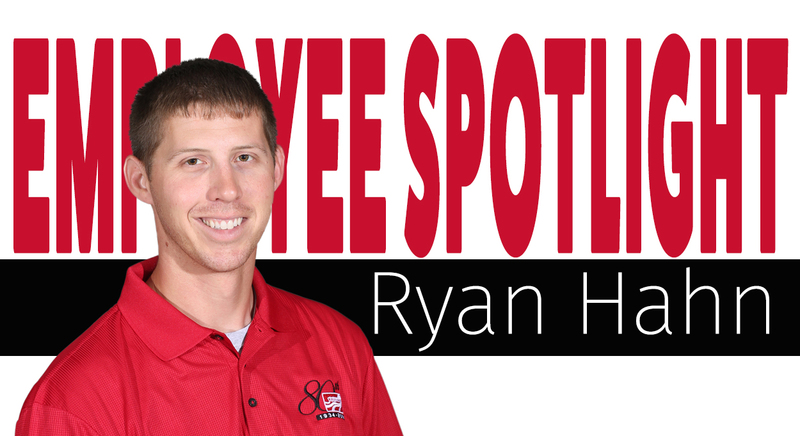 Up next in the spotlight is Ryan Hahn! Since 2008, Ryan has been apart of the Stutsman team as an agronomist. Ryan helps growers find the best agronomic solutions for their operations. I grew up on a farm outside of North Liberty. I attended school at Clear Creek before going to further my education at Luther College. Before getting a job with Stutsmans, I worked for South Slope and KCRG after graduating college. I enjoy being with my family and friends, playing with my son, helping my Dad with various projects, as well as hunting and fishing when I have time. There is a lot that comes to mind but the most rewarding is helping fix and solve an issue/ problem that someone is having, helping out customers and making a difference on someone’s farm. Tacos and enchiladas or anything that is Mexican food! This is not a product I directly work with but it is used to complete my sale and that is a RoGator. These machines are out in the field making a difference and helping farmers be profitable. They are the workhorse of what we do here at Stutsmans. A flint firestarter, a blanket, and a knife….. And some pictures if I could fit them in my pocket! What is your favorite season; why? I enjoy summer because everything is always green (hopefully) and I enjoy fall because of the weather and harvest! Being outdoors and the people. Whether it is a customer or coworker; they are so genuine and great to work with/ be around! I would like to visit the Czech Republic, all the national parks in the United States and go ice fishing up north in either Minnesota or Canada. What has been the biggest change in the company since you started here? I would say the adoption and use of variable rate technologies for fertilizer and seed. Also, being able to use farmer’s own field data to make educated application and management decisions.